Hexadecagonal softboxes are more affordable than ever, and the latest models assemble in seconds. Which should you buy? 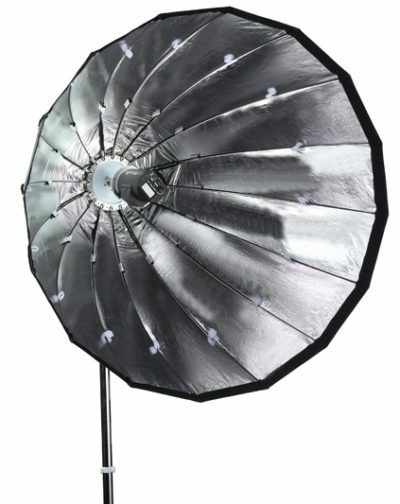 Hexadecagonal (16-sided) softboxes are popular among fashion and portrait photographers for their combination of soft light and tight control. 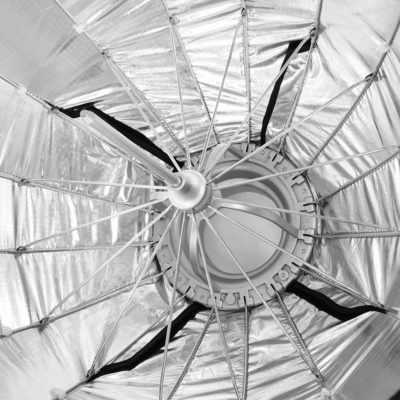 Some of them have a true ‘parabolic’ shape and others don’t, but most give a similar sort of effect, with a large and efficient, nearly-circular light source. One of the main problems with these deep softboxes—other than possibly their size and cost—is how much of a hassle they are to assemble, as the process involves carefully inserting 16 rods into a speedring. 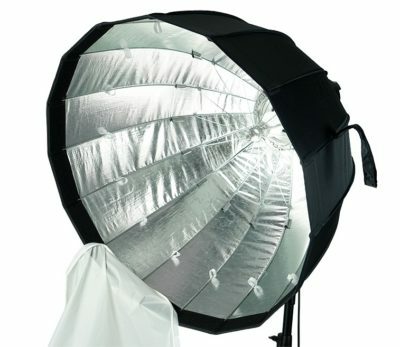 For a while now, more conventional rectangular and octagonal softboxes have been offered in umbrella-folding variants. These don’t fold down quite as flat as a conventional softbox (like a collapsed umbrella, they are cylindrical, rather than flat) but you can assemble and disassemble them in seconds. This year has brought the umbrella-folding mechanism to hexadecagonal softboxes as well. There are two disadvantages to this arrangement: it doesn’t fold completely flat, and the umbrella shaft probably prevents you from using a focusing rail like the Cheetah Chopstick or SMDV Zoom Bounce. But if setup time takes priority, then easy-fold 16-sided softboxes are a new option for your lighting kit. Not everybody has gone for the umbrella-folding style—there are a number of affordable conventional-style hexadecagonal softboxes available on the market this year as well. These help solve the other problem of such light-shapers: their high cost. Here are a few of the options available. Aputure’s Light Dome is ostensibly designed to go with their Light Storm LEDs, but can fit anything with a Bowens mount. 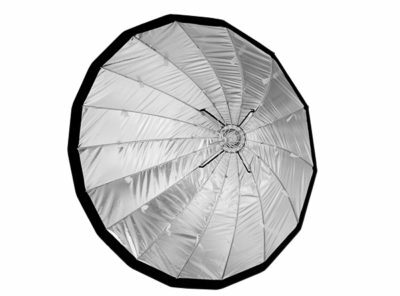 It is a 35″-diameter, 16-sided, 24.4″-deep softbox with two diffusion panels. A shallower version, the Light Dome Mini, looks like they just tore some of the material off and forgot to shorten the rods. Available now for $149 (or $110 for the Mini) at AliExpress, Adorama, Amazon, B&H and eBay. 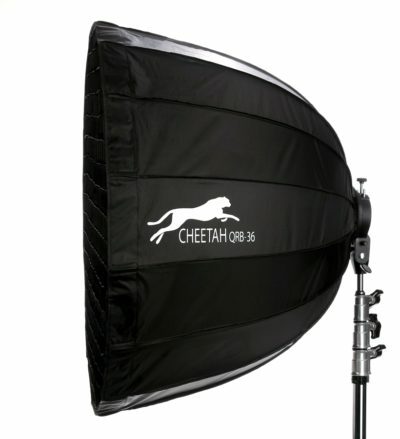 An umbrella-folding version of the Cheetah RiceBowl, the Cheetah Quick RiceBowl QRB-36 is a deep parabolic softbox with a 36″ (90cm) diameter. It comes with inner and outer diffusers, a honeycomb grid and a speedring for your preferred mount. $140 from CheetahStand. Optional beauty dish attachments ($20) fit in front of the light to give a beauty dish effect. CononMark is a Chinese company known for some of its pioneering portable flash systems. Their latest parabolic softboxes come with sliding rails for precise focusing of the light, as well as inner and outer diffusers and carrying bags. No easy umbrella mechanism but you get focusing at a fraction of the price of an equivalent Broncolor or similar parabolic. Available in 90cm and 120cm versions for Bowens or Comet mount. $358/398 from CononMk on eBay. 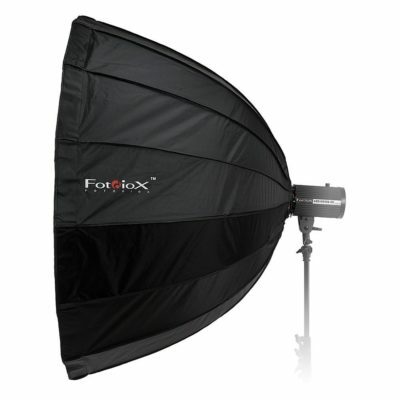 Fotodiox’s Deep EZ-Pro Parabolic Softbox comes in 28″, 36″ and 48″ sizes (71cm, 91cm and 122cm). All come with double diffusion and include a carrying bag. It seems like grids should be available separately, though they don’t seem to be listed yet. For Bowens and other mounts. Comes with a 24-month warranty. Priced $80, $95 and $110 at Fotodiox. 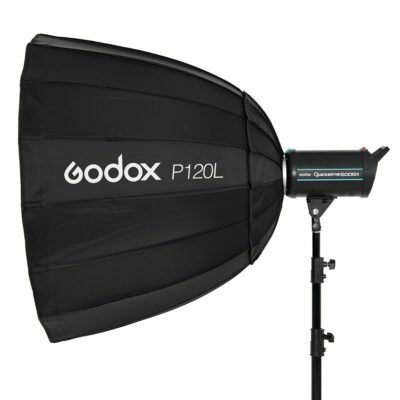 Godox has a new series of parabolic softboxes, the P90L, P90H, P120L and P120H. Measuring 90cm or 120cm in diameter, the “L” versions are lighter in weight, using fibreglass rods. The “H” versions use heavier, heat-resistant steel rods for use with continuous lighting. Each softbox comes with double diffusion; grids are available separately. The manufacturer claims “easy and effortless” installation, but you’re still going to be threading rods into a speedring, because the Godox P90 and P120 have a conventional rather than a quick-fold umbrella design. The Godox P90 is $99, the P120 is $119 and grids are $36/45 extra. Buy now from AliExpress, Adorama, Amazon, B&H or eBay. Shanghai-based manufacturer Jinbei has introduced a series of Umbrella Deep Softboxes in three different diameters: 70cm, 90cm and 120cm. 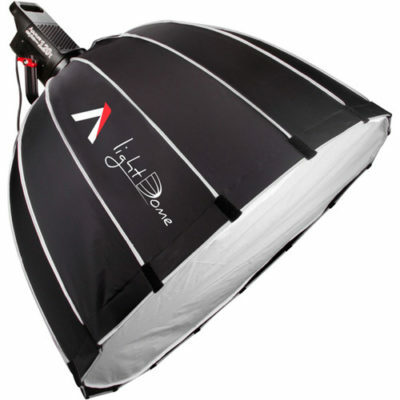 Each softbox has 16 sides and an umbrella folding mechanism. The modifiers come with an inner and outer diffusion panel and a carrying bag. A grid attachment is optional. Prices are around $100, $135, $160, respectively, available on eBay. Life of Photo, or Shangyu Lifei, manufactures 70cm, 90cm, and 120cm umbrella-style sixteen-sided deep parabolic softboxes. As well as twin diffusers, the Life of Photo parabolics come with a removable reflective disc for a beauty dish style effect. More details here. Another manufacturer is MingXing. Neewer has a hexadecagon softbox, which is almost certainly a rebrand of the Godox P90. Selens offers both conventional 16-sided softboxes and the umbrella-folding kind. The sizes go from 70cm, 90cm and 120cm up to a whopping 190cm in diameter, for only $169. Shallower versions give a beauty dish style effect. It’s hard to tell from the outside which ones are quick-fold and which ones are ordinary softboxes, so check the pictures carefully and look for the keyword “Quick Folding“. Two diffusers and a carrying bag are included. Grids are sold separately from $40. 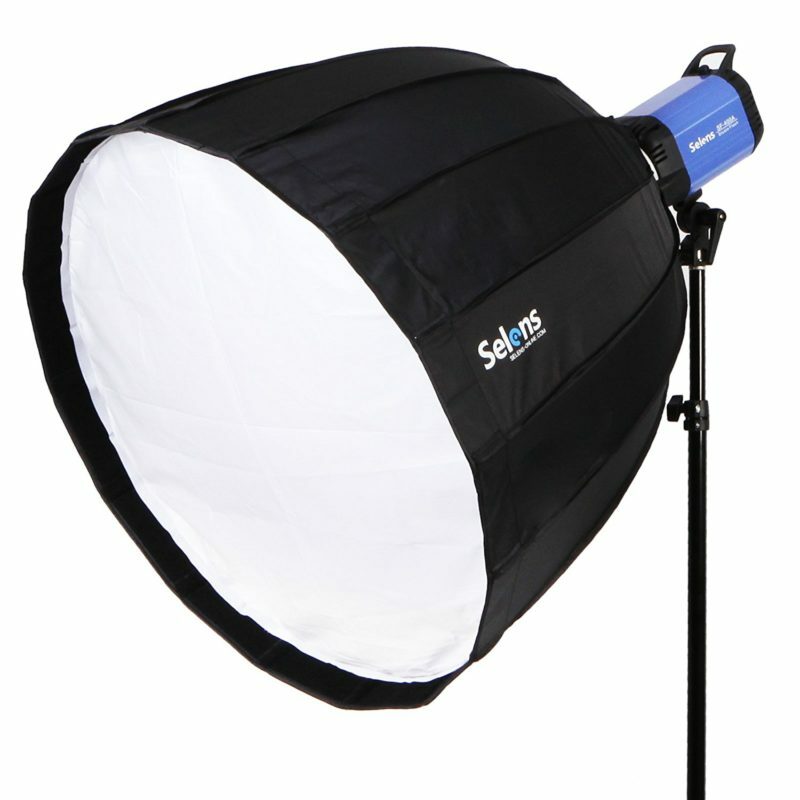 Selens parabolics softboxes are available now on AliExpress, Amazon and eBay. Which one do you think is best? Did I miss anything? Let me know in the comments below.